Has Your Vehicle Computer Been Backdoored? Your safety May Depend on the Year Model of Your Car! Several months ago I warned my readers about the dangers of newer model cars. Perhaps an older car doesn’t have all the new age features that a late model car does and this is where you may want to decide the value of your privacy but today’s conversation is about your safety and the lives of your family! 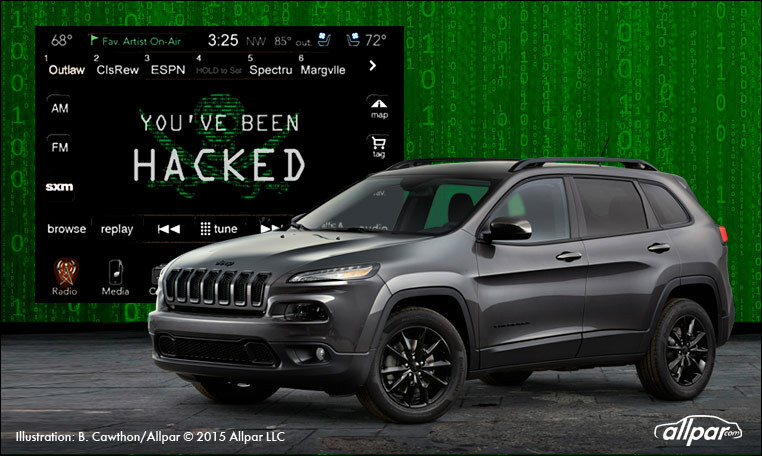 The Jeep Cherokee hack has been broadcast all over the news but if you missed it a couple of hackers in a controlled environment remotely hacked into the computer of a Jeep Cherokee and took control of the vehicles functions. I think the Jeep is just getting an unfair rap here because this can be done to all newer model vehicles. There is a back door on all of these computerized vehicles. If you are old enough to remember when these vehicle computers were first being put into cars you may also remember the first time the computer malfunctioned in your car. It made us all question the need for these wretched computers. A vehicle can be made and made to function well without a computer but it generates more money for automakers when repairs can’t be performed by a regular car owner. Secondly, I believe that from the very beginning a plan was in place to take advantage of drivers using a computerized back door. ← Planned Parenthood May Owe You a Legal Claim?